You are currently browsing the category archive for the ‘DILO’ category. One of the things I find terribly annoying with double-edged internet is how easily someone can find me. Normally, I don’t care, but when you call my work without my permission, that’s crossing the line scary, psycho! Today, I received my BNE letter releasing [giving permission] me to take the NCLEX. 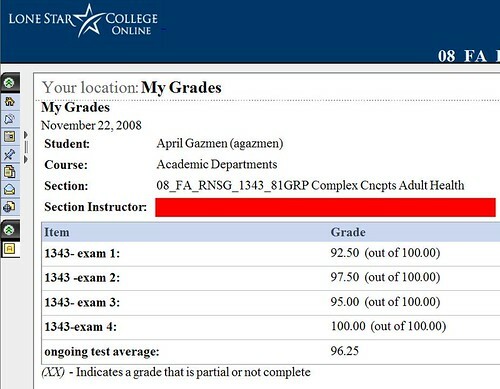 Should I pass it, I am also allowed to work as a GN ~ graduate nurse. Graduation is still a year away; I still feel as if there’s much more to learn. sigh… I’m not showing off, just really proud of my grades. My mother and I shared an interesting conversation this afternoon. After agreeing to pay for my car insurance next year, mama showed me her coworker’s pictures from Plaza de San Pedro. My siblings and I have always wondered why mama never once went on vacation. She always strikes all those that really know her to be super spendthrift. Her almost irritating response, that she will not go on a holiday until all four of us graduated college instigates not the usual guilt trip feelings; rather, respect and humility. Now that I received my BNE letter and my grades look better than promising, I have more confidence to offere her a graduation gift. I promised to take mama to a pilgrimage to the Vatican City a year after graduation [est. Dec 2011]. Who knows, maybe we’ll spend Christmas there? I would like to have my sister come with us as well. Isn’t that someting really good to look forward to? I miss Cza-Cza, more now that I saw her pre-wedding pics with Raymond. As I drove home aimlessly thru Sugar Land traffic, tears were streaming down my cheeks. Hopefully, she will forgive me one day. In two weeks, my little sister is getting married!!! Truly excited and happy for her. And, just like the hurricane, black out. I can still feel pieces of him piercing my hurting heart, but not leaving as deep of a wound as he did for the past four suffocating years. Tears are threatening to well up my tired eyes, but I summon strength from somewhere above and remind myself I ought to go to sleep to avoid poofy eyes in the morning. There is much to be said of weakness shadowing greatness because it could easily overpower anything depending on where the sunlight hits. It is a cycle I am trying desperately to diffuse, praying hard that each moment shall leave me standing straight with my shoulders back and head high. I long for brighter days, not dragging days where I can barely get up out of bed and become engulfed by daydreams or relived sad sentiments. There is a fighter inside me wanting to explode in magnificent beauty, like a butterfly’s grace after hibernating inside a cocoon. GOD will bring the right people in my life, those that will celebrate who I am and believe the best of me. There are those who will only deter me from my destiny, simply a distraction. It is a battle not worth fighting over. I am not gonna allow someone to make me feel this bad because God will give me the divine connections, those that will bring me closer to Him. God is my vindicator! He will bless me even more with each wrong word/action he will do me. God did not bring me this far… and, I owe Him the right focus instead of this mess. Eventually, the pot overflows and one gets tired of all the abuse. It’s time to walk away, close this chapter, and just let him go forever. Otherwise, I am preventing a new door with a true, honest man on the other side to open. Honestly, he’s done more damage than good in my life. I look back at my diary and I can barely count the happy faces… Not even good enough… I’m not bashing, just telling the truth. Why did I hold on? Why did I hope that there’s a good man inside? Why did I pray so hard for him to change for the better? All these questions are keeping me chained in a prison cell instead of moving on. Time to change the channel!!! This is just a set back, which sets me up for a come back. There are no feelings of despair or disdain. Hardly… He’s not worth my time anymore. He does not deserve me or my love. On the contrary, I’m empowered and excited to have my own space and life back. No more controlling strings or stipulations of what a friendship should be. As I learn to forgive myself for this mistake, the self sabotage subsides while the encouragement strengthens my spirit. Last night was unusually breezy and cool. When I went out to my patio with the cubbs, I asked God to help me get one within my poor nursing student budget. To my surprise, I saw an advert on craigslist.com that was posted this morning. The seller informed me she bought lots of new furniture because she thought she and her husband are going to have a divorce. After three months of counseling, they have reconciled and she must rid of all her stuff before her lease ends this Sunday. 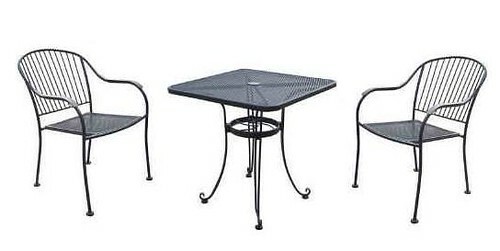 Fortunately for me, I have been wishing for a bistro set since forever!!! They were originally priced @ $199.99 8 weeks ago from Target. She listed it for $150, and I’m getting it for $75! Go’n get it after work! Woot-woot! Can you say happy joy joy panda?!?! A couple of weeks ago, I was overly distraught about not having my set schedule at work. At the time, I thought I was worried I did not have a job to return to as I neglected it while I concentrated on school. For some reason, I allowed stress to disrupt my post-semester-in-hell respite. Come to realize today, I was anxious about the unknown; upset at myself for getting worked up for nothing. I find having a daily planner, syllabus, or just plain appointments calming. There is no denying; I can be obsessive compulsive. To others, meeting a deadline produces more anxiety, but for me, daily monotonous routine serves me well. When my life is better organized like a check off list, I can sleep better knowing things are in order, expected to be done right in the time allotted, and less likely for me to suffer the worse imaginable consequence of being unprepared. Currently, I have yet to experience living by myself, detached from any roommate. Even the simple life I share with the cubbs have occasionally been disrupted by the unexpected. It would be nice to return to sleeping soundly on my own comfortable bed, with nothing but my own snores and sounds to wake me. Recently, I have no more patience to pick up after other people’s trash or take care of any other but me. Honestly, distractions are not conducive for a good health, a successful sleep cycle and school’s demands. You know what I just realized? I may have lost my best friend in this process. THAT, I am not too happy about. As little as the attention he carefully bestowed upon me, I took each small amount of heaven as I can. To my disappointment, as I look back at the three and a half years I have been in this so-called relationship, I have realized that I was merely on a rocking chair, moving back and forth, like a never ending cycle. Sadly, it is not going anywhere. It has turned into an overplayed, worn-out record of a love song. The awful truth is that I was left ignorant without being told that the other has moved on long ago. He asked if I was offended by his remark. I replied that I was more melancholy than hurt. What he failed to realize, of course, is that however happy he thinks he quickly made me feel, terrible sadness soon after followed. Here I am, exhausted of analyzing this friendship he said we shared. Nowadays, I’m discovering it takes just one thing; one thing alone to change everything. As easily one falls in love, surely one can fall out? Although it has been too much roughage and heartaches, I want nothing but the best for him. After all, God takes care of everyone. He has been selfish all his life. As a child, he may have been given good principles, but was left to follow them in pride and conceit. “Let me not have the grief of seeing you unable to respect your partner in life. Will he make you happy? I could not have parted with you for anyone less worthy.